In my previous post, I shared my thoughts on "seeing in black and white". In the next two posts, I will discuss my workflow for converting that "vision" from a color digital capture to black and white images that represent what I saw and felt while making the photograph. For the first thirty-five years of my photographic life, I used black and white film for the majority of my work. When the first version of Photoshop was introduced, I wasn't the first to jump in and start using it. In fact, while Photoshop was introduced in 1988, I didn't buy my first version of it until 2000 when Photoshop 6 became available. The first thought I had when I opened the program was what are all these tools for. At the same time, I asked myself how was I ever going to learn how to use them. What I didn't understand at the time was that Photoshop wasn't designed to be used by photographers. During the first ten years of its life, there were very few photographers capturing images digitally. Rather, while film was still being used by most photographers, the printing of their images was being done digitally. Film would be scanned and converted into a digital file where illustrators and graphic designers could, via Photoshop, make adjustments and place it into their final composition to be printed. It was no wonder I couldn't understand how this software, with all those confusing tools, could replace what I was able to do in a darkroom. I continued using film although, in 2001, I made the switch to printing digitally. I would have high-resolution drum scans done of my black and white negatives and struggle through Photoshop 6 to try and replicate the adjustments I used to be able to make in the darkroom. 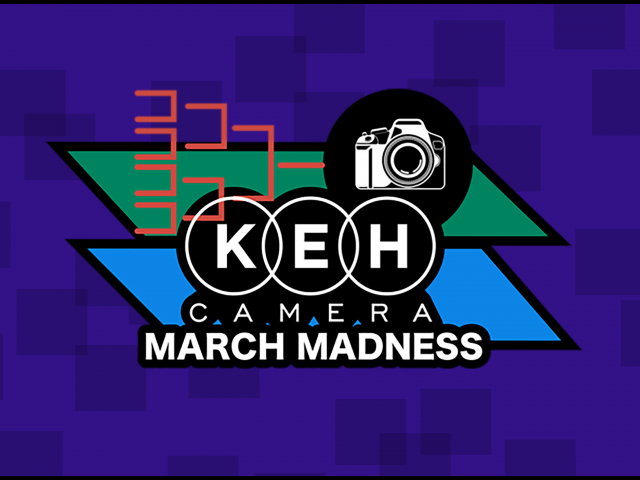 Since I didn't have hundreds of images to work on, slowly figuring out which tools in the program I needed to use wasn't a big drawback, but it wasn't easy for me either. The workflow just didn't "feel" right. This all changed in 2006 when Adobe introduced Lightroom in beta form. The first time I opened the program it just felt right. It replicated my workflow in the darkroom and even used familiar terms for software tools. I acquired a full-frame DSLR, exposed my last roll of film and have never looked back. 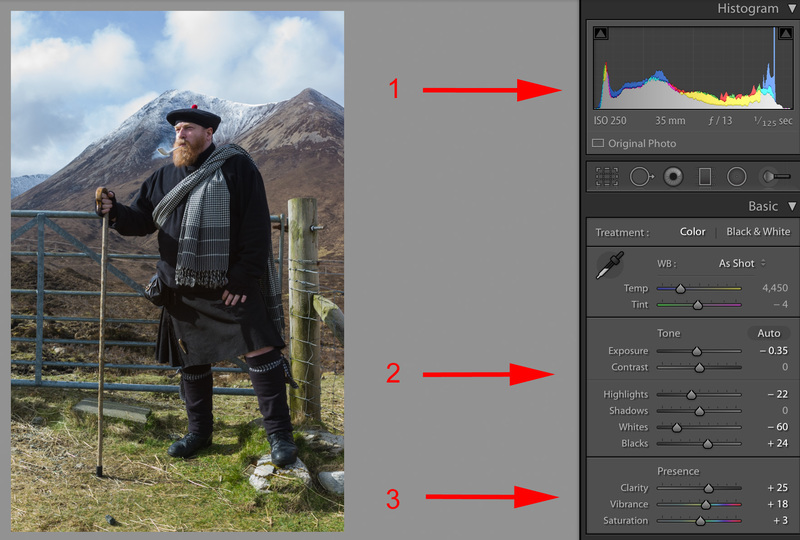 This post isn't intended to be a tutorial on all the various functions of Lightroom. I have purchased 600-page books on Lightroom that don't cover everything. 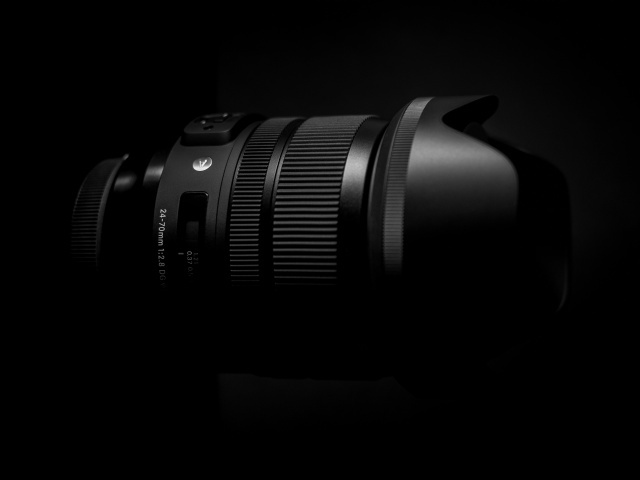 It also won't be about some secret techniques, plugins or auxiliary software to be used in conjunction with Lightroom to make black and white images. Rather, it about how I have found a basic workflow within the program that gives me images that feel like what I felt when I made the exposure. If you ask a hundred photographers how they produce black and white images you will get a hundred different workflows. What I wanted for myself was a quick, easy and repeatable workflow that gave me a final image that reflected what I wanted to "say" when I made the exposure. I'm not interested in spending hours working on one image nor do I want the final image to be more about the process used to make it rather than what I want the viewer to feel when viewing it. I use a Leica M9-P with a 35mm lens for the majority of my photography and capture RAW files only. Leica has chosen to use the Adobe DNG file format for their RAW files, so when I import them into Lightroom using the Library module, there is no need to convert them into a DNG file as I do with images made with my Canon. Why use DNG? Because any changes I make to the file are recorded within the metadata of the file rather than an external "sidecar" file that needs to be moved/saved/archived with the original RAW file from Canon. After reviewing my images in the Library module and choosing the image I want to work on, I select the Develop module which opens a panel of various tools along the right side for "developing" the image. The illustration above shows the "undeveloped" image on the left and the Develop panel on the right with a histogram of the image on top. Towards the bottom of the Develop panel is a section labeled "Lens Corrections." 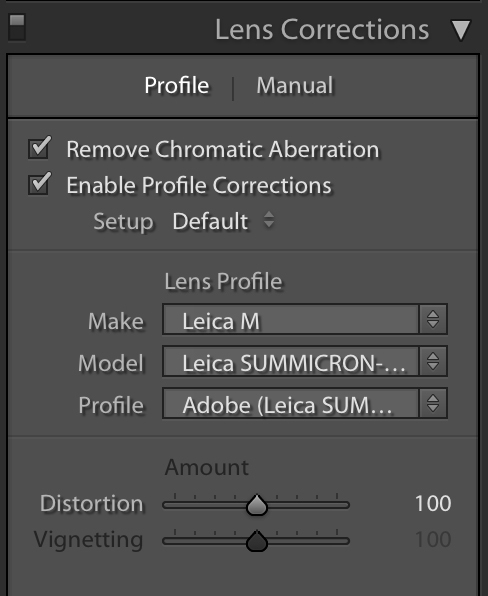 It is the first section I do any work on by selecting both the "Remove Chromatic Aberration" and "Enable Profile Corrections." The first one corrects any imperfections your lens has to focus red, green and blue light on the same plane. The "Profile Correction" compensates for any light fall off your lens might have at the corners of the image because of optical design. It also flattens the image field. All this information comes from Adobe going out and buying any old or new camera they support in their software and having their engineers figure out these corrections for each lens and camera. This information isn't given to Adobe by the manufacturers and it is the reason there is a delay in software supporting a new camera or lens. At this point, I normally convert to Black and White before I begin doing any other work on the image but for this post, I want to create a normal color version of the image before doing the conversion for comparison. Arrow #1 above shows the Histogram after I have made "Tone" adjustments (arrow #2) in Exposure, Highlights, Whites, and Blacks. In arrow #3, I have made "Presence" adjustments to Clarity, Vibrance, and Saturation. The exposure adjustments, expressed by the Histogram, allow me to make overall changes to the range of tones in the image, making sure I don't have areas of blacks or white without detail by pushing the tone up against one end or the other. 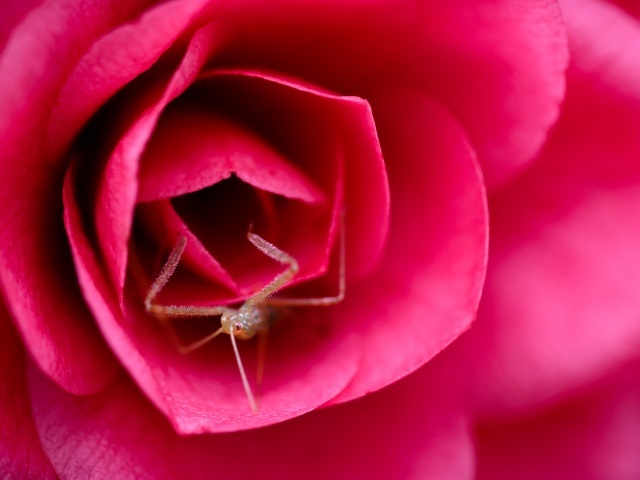 The "Clarity" adjustment (or as some of my friends call it the "make better" slider), gives clarity and dimension to the mid-tones in the image. By moving the slider to the right and watching the middle tones of your image, you can see them "clear up" and become more visible. The Vibrance and Saturation controls make colors deeper and start to "glow" more. 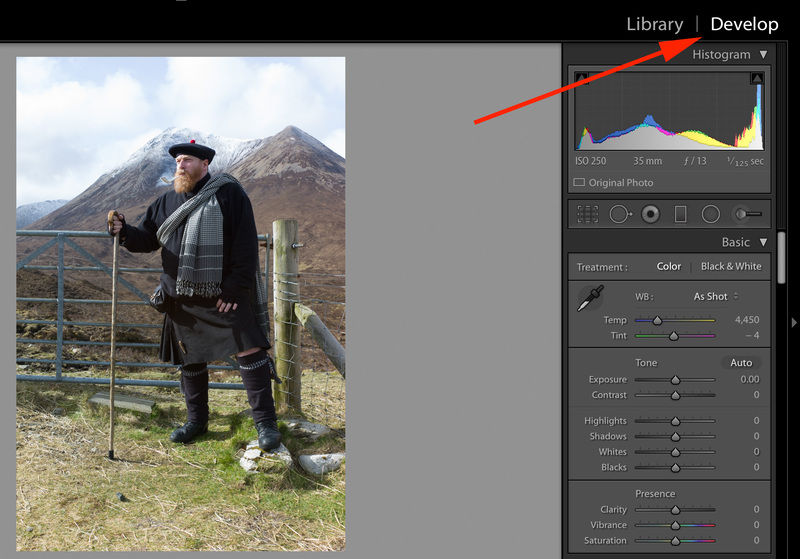 When you convert an image to black and white, the only control in the Presence section that will be active is Clarity. 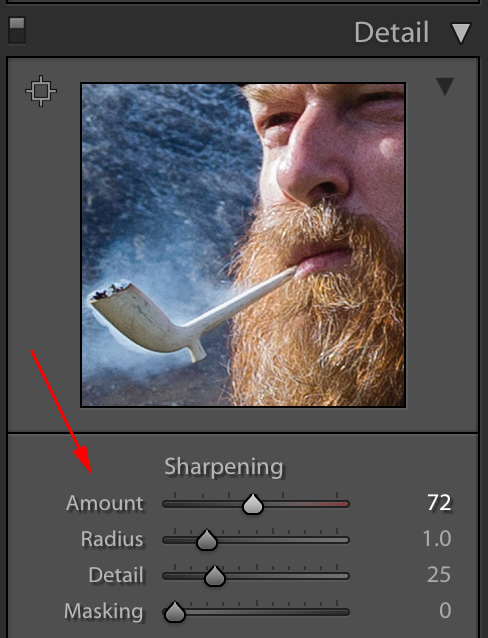 Using Photoshop, sharpening always seemed to require some degree of magic for me to get it right. There are numerous schools of thought on what type of image sharpening technique gave the best results and I tried them all. After years of experimentation on my part and Adobe making huge improvements in the sharpening algorithm, I have simplified it down to the following technique. I leave the Radius, Detail, and Masking at the default settings in the program and adjust the Amount to somewhere close to 70. Fast and simple. I'm sure there will be readers telling me how they learned this technique or that, but for me, this works and no one has ever commented on the sharpening in my images. The last two adjustments I made to the color image are Post-Crop Vignetting and Dehaze. The default Vignetting does just what you would think it does, it is set to darken the corners of the image. I find slightly darkening the corners helps draw the viewers attention to the center of the image. The Amount really depends on the image. 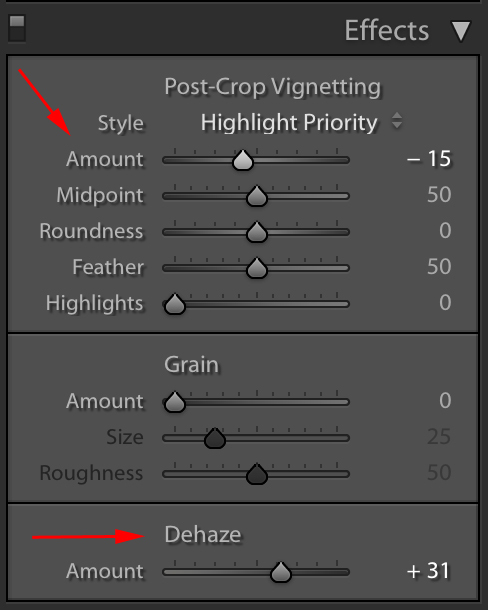 The Dehaze adjustment has only been available for the last couple years and only to Lightroom users who have the monthly Creative Cloud version of the program. If you have purchased a stand-alone version of the software, it doesn't contain this feature. Again, this tool does what you would expect given its name. It literally cuts through and clears up the haze in skies. The above photographs show the original color capture on the left and the "developed" image on the right. Although I think the color image on the right looks nice (like a postcard), it really doesn't represent what I felt while in the process of making it. The gentleman I photographed wasn't posing for me nor was he dressed like that for the photograph. The image was made on the Isle of Skye in Scotland and this is the way he dresses every day. A friend of his was "taking" his picture and I asked if I could also photograph him. I had spent some time talking with him prior to the photograph and understood his love for his country and the pride he took in wearing traditional clothes. 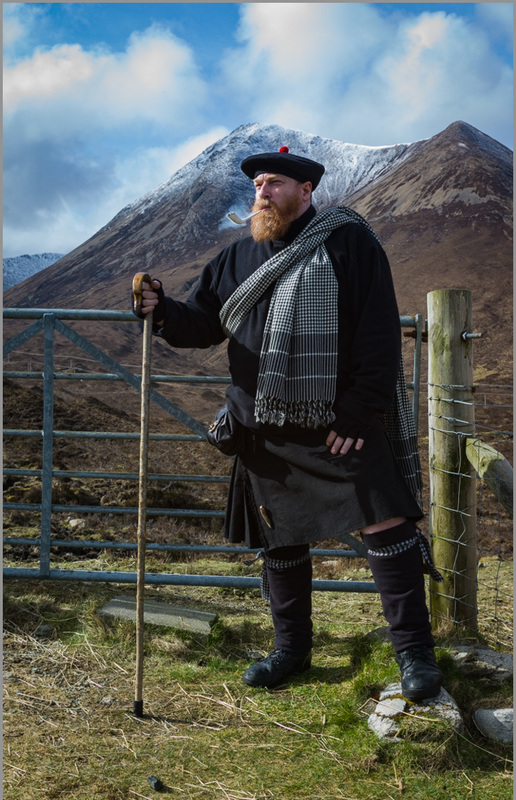 Being with him at the edge of a meadow along a range of mountains on the island, I felt I was back in time and needed to convey that in my image. In the second part of this series, I will go through how I made that happen in black and white.